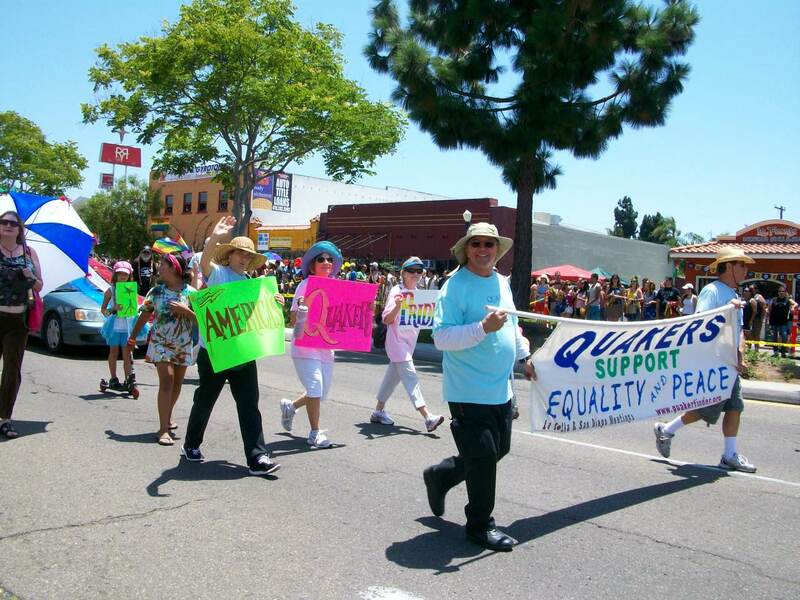 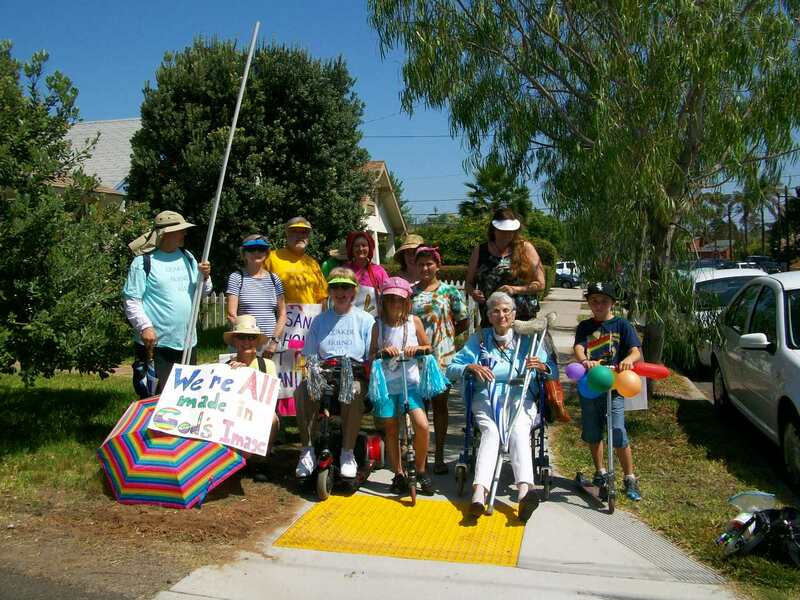 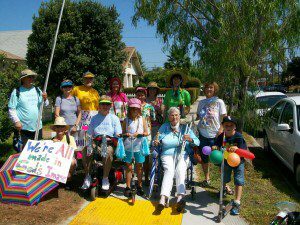 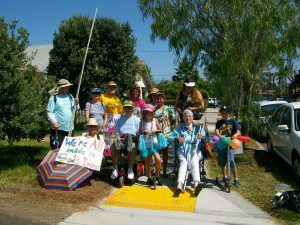 On July 21, 2012, La Jolla MM Quakers joined the San Diego Pride LGBT Parade. 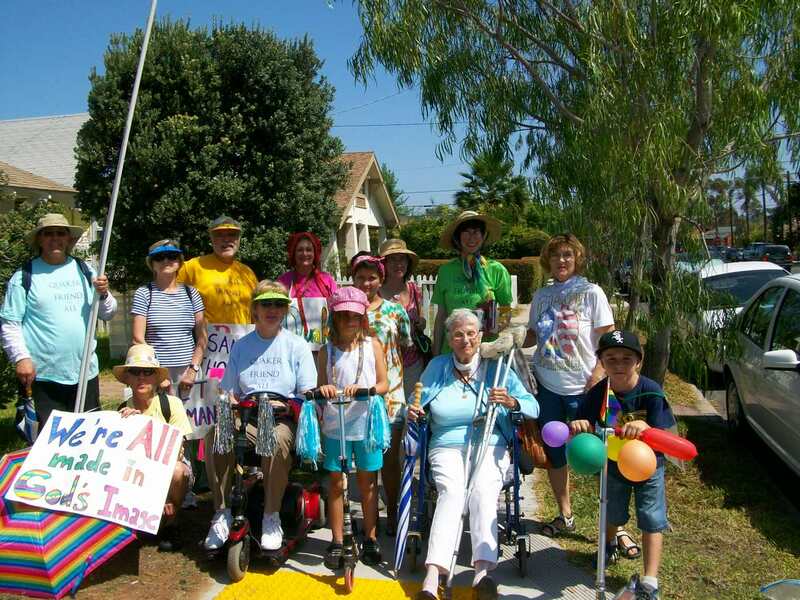 About twenty of us walked, rode, skate-boarded, cartwheeled, and motorized cycled down the parade route. People cheered us, thanked us for coming, and asked, “Who are Quakers?” along the way.